Looking for the glitter that stays on the page and not on your projects? Look no further! Available in both silver and gold, the 24”x36” glitzy glitter sheet is perfect for any size of project—whether it be for making multiples of one thing or just one or two of something else. This (and a small set of similar-sized crafty products) is available at Jo-Ann Fabric and Craft Stores®. 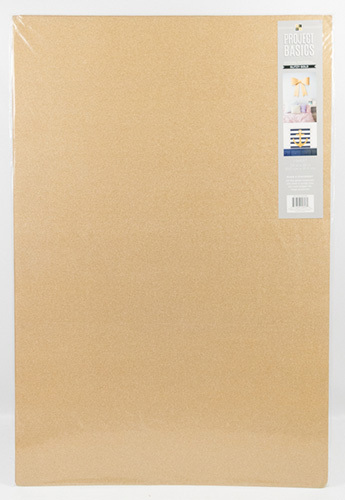 The sheet comes wrapped on a cardboard insert, perfect for creating a go-to template for oversized projects. It also creates an easy storage solution until the sheet has been used completely. Can be cut with scissors, a rotary cutter on a self-healing mat, paper punches, and more! Glitter stays in on the project and not on you!